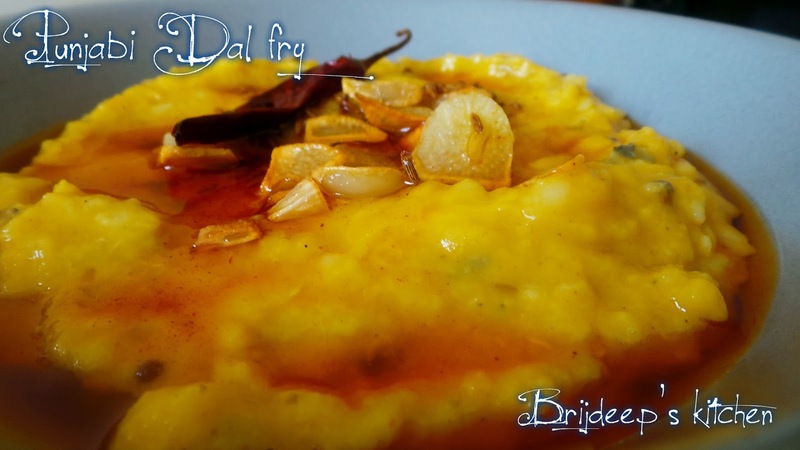 Punjabi Dal fry is one of the quickest, easiest, yummiest and healthiest dal which is regularly being prepared in Punjabi households. Healthiest being not even a bit of use of heavy ingredients like cream, milk, cashew, yogurt, butter etc. 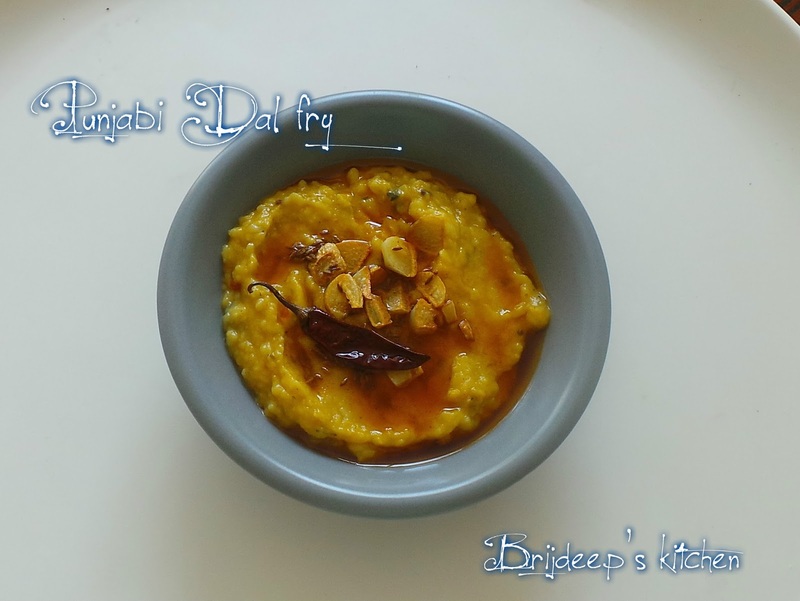 and is made with the mix of two wonderful and easy to digest dals: moong dal and masoor dal. This is one of the few recipes by my paternal grandmother. Red chili powder: 2 tsp. Mix both dal and wash thoroughly with water. Pressure cook them with salt and half the turmeric till 3 whistles are sounded. Turn off the heat and keep aside. Heat oil in a pan on medium flame and add cumin seeds when hot. Add asafoetida and mix well. Then add chopped onions and cook till the onions are transparent. Don't let them brown. Now add 4 cloves of chopped garlic and mix well. Cook for about a minute. Now add chopped tomato, green chilli and ginger. Mix well and let cook for 2 minutes on low flame until the tomatoes are soft and mushy. Add salt, red chilli powder and turmeric powder. Mix well and let cook till the spices leave oil at the sides and the tomatoes are completely soft. 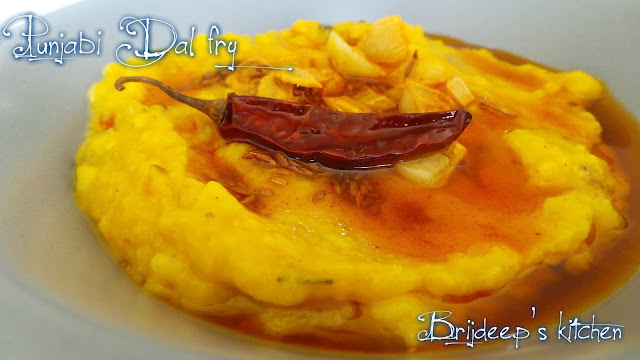 Mix with the boiled dal and boil the dal at medium flame. Add water as required to adjust the consistency of dal. Now heat ghee in another pan and add the dried red chilli and remaining chopped garlic when hot (on medium flame). Let it cook till they start to become light brown in color. Add 1 tsp. red chilli powder and mix well. 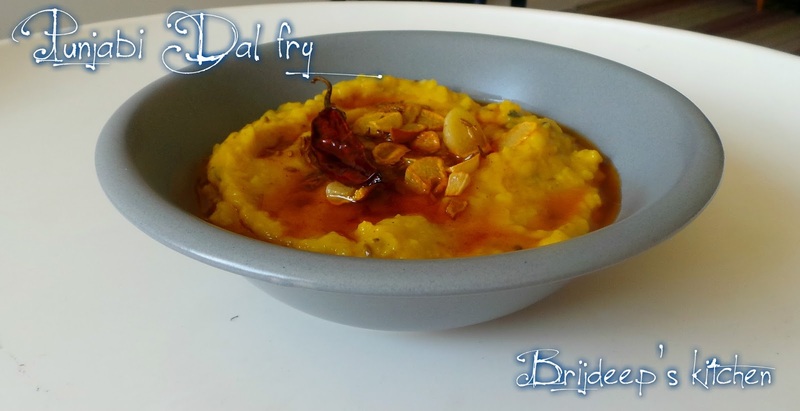 Cook for few seconds and pour this tempering over the boiling dal. Mix well and turn off the heat from the dal. Sprinkle garam masala and kasoori methi over the dal and cover the cooker with a lid. Remove lid after 10 minutes, garnish with fresh coriander leaves (optional) and serve piping hot with rice/roti. Loved this recipe? Please do leave a comment/feedback in the comments section below. Also, don't forget to join me on Facebook to get regular yummy updates. I welcome u to my ongoing event - Wedding anniversary cakes & sweets ... plz hop over & link ur enteries!